Shifah Musisi is a Ugandan singer, songwriter and fashion designer. From early on in her childhood, Shifah showed a strong passion for music influenced by such iconic stars like Sade, Dido, Angelique Kidjo and Yvonne Chaka Chaka. 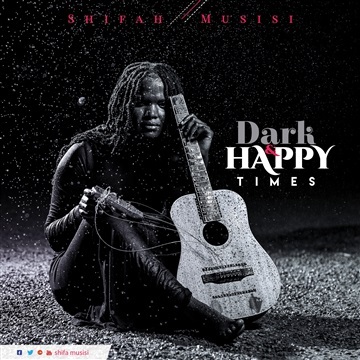 Upon her return from the European tour, Shifah Musisi hit the studio to record her second album “Dark & Happy times” with renowned producer Michael Mugisha aka Fingaz. Set to be fully released later in 2018, the 10-track album features songs like “Emirembe”, “Kusema” and “Africa” among others. The first two singles off the album “Emirembe” and “Ebilowoozo” have already been released and well received. Shifah Musisi’s music is a fusion of contemporary, RnB and afro-soul genres majorly inspired by real life experiences.